Please make a reservation at j.sialini@email.cz. This course is for all women with normal pregnancy who completed the 12th week of pregnancy. Lessons are suitable for both beginners and advanced. 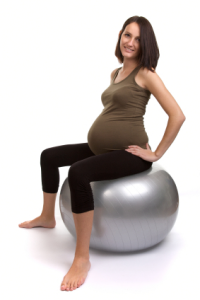 Due to the limited number of clients, an individual approach is guaranteed (exercise is adjusted according to the stage of pregnancy and individual condition) and there’s a space for solving questions and problems. The course is led by a physiotherapist. Lessons aim to strengthen and stretch your whole body. We combine elements of pilates and yoga. We use different utilities during the exercise – big and small balls, therabands, suspension system, SM system etc. All utilities and mats for exercise are provided. We will learn a correct body pose and economic stand – walk – work. We will learn how to breath correctly. We will activate our pelvic floor, we will strengthen it and relax it. We will exercise legs (prevention of pain and flat feet) and hands. We will stretch back, breast and back muscles and we will strengthen the body centre. We will learn automobilization techniques (or how to help yourself) and also pleasant massage and relaxation techniques. Besides that we will talk a lot about you and your baby. At DK Fontána, address: Stamicova 11, Brno – Kohoutovice, former Juventus. We currently accept new applicants. Preventist and instructor at seminars and workshops on both children and adult topics (healthy feet, healthy back, ergonomy or workplace…). It’s necessary to make a reservation by phone.